Hello everyone! I know it has been a while, but I thought I get back to writing book reviews. Especially since I have become active again in my church’s book group and who for I am utterly grateful for introducing me to the wide world of books–from novel to non-fiction, both books I thoroughly enjoy and books I would probably never pick up if it had not been for the group. 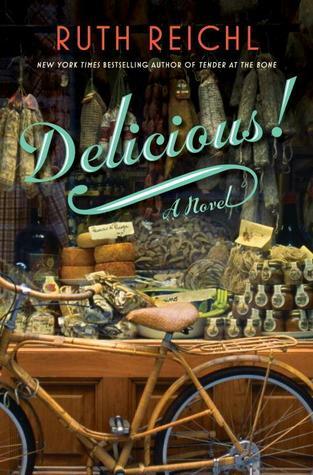 For May, our group read “Delicious!” by Ruth Reichl. Ruth is a editor-in-chief for Gourmet magazine and for a living writes about food. In this book, she writes about Billie Breslin, a writer, who moved across the country to become a part of a famous food magazine Delicious! Over the course of the book, we learn that it is food that ties everyone together, that cooking is more than just something one may be good at and that digging a little deeper into the heart and souls of others is what really makes a meal special.